Our bilingual Spanish dictionary app with thesaurus includes more than 32,000 unique entries. 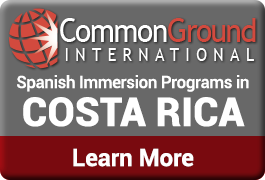 The convenient bilingual search allows you to quickly navigate to the word you’re looking for in Spanish or English. English words are identified by the American flag for easily distinguishing the language of a word. A good Spanish dictionary is essential for any Spanish app that intends to help you study Spanish. Our dictionary is central to app and uniquely built to help the Spanish as a 2nd language learner. We have built it so that it does not work like a translator. It will only accept 1 word at a time in the bilingual search bar, and will provide you with equivalents in the target language along with synonyms, antonyms and expressions. Tap the Spanish word you’re looking for and you’ll automatically see its translation, synonyms, antonyms and any expressions that are commonly used with that word. Wordreference integration. If the word you are looking for doesn’t exist in our Spanish dictionary, use the translate function built in! This will provide you with the quick translation you need to keep studying and using your Spanish right away. Text to Speech. Tap the speaker icon to hear the word pronounced that you’re looking up. Spanish flashcard integration. This Spanish dictionary app is also integrated with the Spanish flashcards section. You can add any word from the dictionary to your personal Spanish flashcards for easy studying. Use this function to convert their class vocabulary list into personal flashcards. Sidebar scrolling. Use the right sidebar of the dictionary to scroll through all 32,000+ entries! 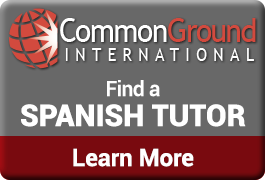 A solid Spanish/English dictionary is essential for any Spanish language learner. Get your copy of High School Spanish today!